First thing which you should remember is that kids do not know how to stay quiet in class and listen to what their teacher says. So you can not teach them a lesson in an ordinary or traditional way. Instead, you should make your lesson interesting by turning them into a fun activity. Use games, songs and poems to teach young ones. You should also know that every child has own capabilities. For instance, some kids can speak fluently while some others cannot. Similarly, some students can perform various tasks properly while some of them need special attention and care to do the same task. So as a preschool teacher, you should know caliber of each student and teach accordingly. Prepare your lesson that is appropriate for all growth levels. Be patient and remain calm in class. Young children create mess in classroom. Some kids also start crying for small reasons. Some go wild without any reason. Being a good preschool teacher, you should learn to handle all such situations. Try to know why a child acts in a certain behavior and then teach that kid in a calm manner. As a preschool teacher, you should also be aware of educational and developmental problems of kids. Some students may need special help and assistance due to any problem. Try to solve their problems. Preschool teachers have not enough skills to teach special students but still they can identify them and refer them to somewhere else for their proper education. Adopt a teaching method which can prepare students for elementary level. This not only includes teaching basics but also it means to teach proper behaviors and attitude. For example, you should teach a kid how to sit silently in class and how to follow directions of a teacher. Also prepare your students to meet daily life challenges. Teach them good communication skills so that they can interact with their class fellows in a better way. Also help them understanding emotions and feelings of others. Help them learning the way of overcoming their thoughts and emotions. 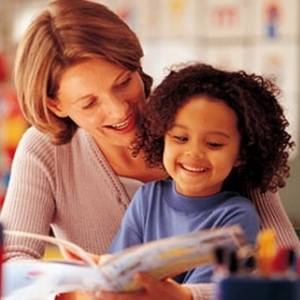 That was a bundle of tips which you can follow to become a good preschool teacher. Besides following these tips, take care of yourself to meet challenges you may face in a preschool classroom. Get a sound sleep at night to perform next day’s tasks efficiently.